Two Months At Her Majesty's Pleasure For Putney "Beggar"
Two Months At Her Majesty's Pleasure For "Beggar"
Simon Wright a street beggar who duped well-wishers in Putney into thinking he was homeless, hungry and penniless - while living in a £300,000 flat in Fulham - has been sentenced to two months in jail after being caught once again breaching his anti-social behaviour order when begging in Marble Arch. In August, Simon Wright was convicted of breaching the order at West London Magistrates' Court after he was spotted begging for cash in Leicester Square and Oxford Street. At that time he was spared jail but sentenced to 40 hours of unpaid community work. The original order banning Mr Wright from Putney and prohibiting him from pestering passers-by for cash was secured in June as a result of co-operation between the Thamesfield ward safer neighbourhoods team, Wandsworth Council’s community safety department and the Crown Prosecution Service. Until the ASBO was granted Mr Wright would spend day after day sitting with his dog next to a cash point machine near Putney Station demanding money from bank customers and passers-by. He wore ragged clothes and claimed to be homeless and hungry. It is estimated that he was taking in around £200 a day by duping shoppers, office workers and local residents. And at the end of the day, instead of finding a hostel or a shelter to take refuge in, the 37-year-old would make the short walk across Putney Bridge to his housing association-owned flat in Fulham High Street. 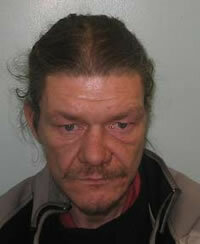 As well as prohibiting him from Putney and Roehampton the ASBO also barred him from begging anywhere in London. The order remains in place until May 2015.